As you spend dozens and dozens of hours on your acquisition funnels and landing page conversion rates, all of that hard work eventually pays off and you're rewarded with some shiny new bumps in customer volume. Yet, what if I told you that you could put in the exact same amount of work to receive over 3x the return? That's the reality of focusing in on your pricing strategy, rather than simply trying to increase your conversion rates. Data shows time and time again that for every incremental improvement in pricing you receive an 11x return, while incremental gains in volume only result in 3x returns. Unfortunately though, marketing and product leaders continue to exhaustively test countless landing pages without actually improving the pricing structure behind those funnels. This is essentially like putting jet fuel in a steam engine. True, it's a lot easier to move some pixels around and let an A/B test run wild. Yet, pricing isn't hard; pricing is a process. That may be hard to believe, because you've never handled pricing before, but let's walkthrough the process, so you can start uncovering those 11x returns and you can take your product and marketing to the next level. This will definitely take some time and work, but everyone should be on the same page with who you're targeting, as well as how that user thinks, breathes, and lives. We've found that SaaS companies that have personas down to this detail are typically growing at a much quicker clip than those that don't, because everything stems from these buyers. When you're just starting out though, you may not have time to do the work to answer all of these questions, and that's completely ok. Yet, make sure you have some sort of central repository that is cataloging and updating this information on a continual basis as new information comes in (surveys, interviews, etc.). Main Takeaway: Build out your buyer personas to make sure you're attacking the right customer(s) in the proper markets. Everything in your pricing strategy and wider company strategies will stem from these personas. Here's a step by step guide to quantifying your buyer personas, as well as an article on how to properly use your SaaS buyer personas. "Build buyer personas as if company success depends on it; Becuase company success depends on it!" Your buyer personas are your pricing strategy's foundation; now we need to build the structure on top of them. The first thing to think about is which features should be aligned to which persona. Our ultimate goal is to have a plan or entry point for each buyer persona, and then a place for them to grow via upgrades. Determining which features align with which persona is actually incredibly easy. Sure, you'll have some tough choices to make when your prospects tell you a particular feature you slaved over isn't as valuable to them (happens all the time). 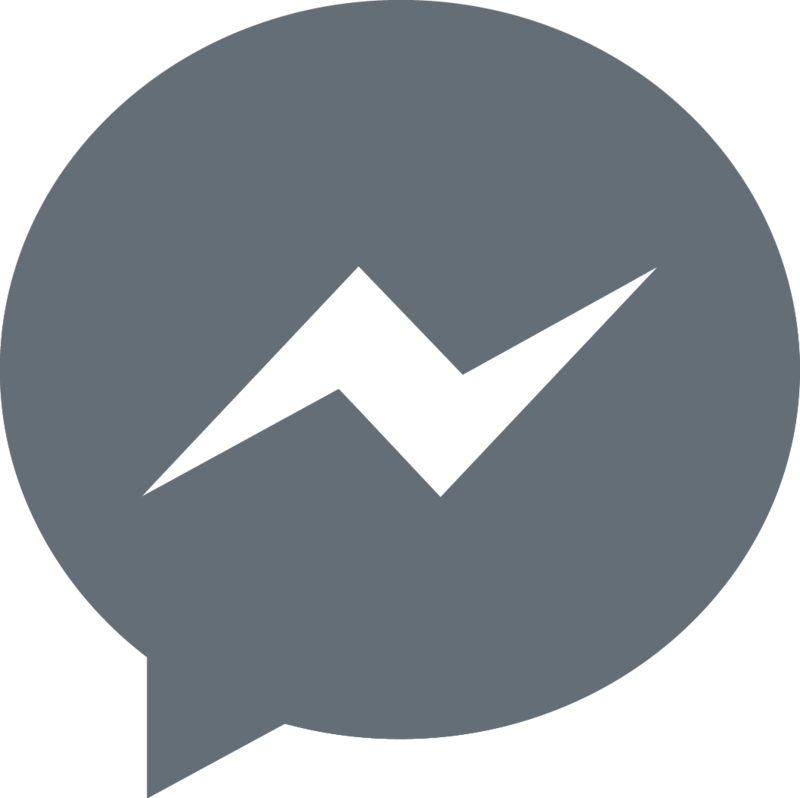 Yet, the process simply requires you collecting data via surveys from your target customers. Yes, surveys. 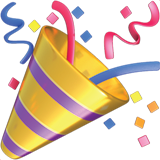 These wonderful marketing tools get such a bad rap, because we're mostly horrible at them. We make them too long and ask he wrong questions. For instance, you should never, ever...and I mean ever....ask anyone feature questions that don't force them to make a decision or tradeoffs. This is because, respondents have no incentive to give you good data, and instead will give you results like the following, where you can't tell if Feature 1 is truly better than Feature 4. Instead, you need to be asking questions like the following that forces the respondent to make a decision between a set of features. 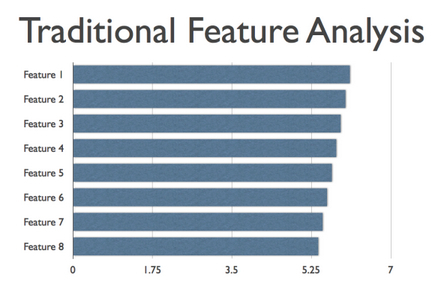 This is absolutely crucial, because you end up getting results like the next image where you can not only tell which features are more important than the others, but you can also tell the magnitude. The math may seem pretty complex, but it's pretty simple and you can find a bit more about how to run this type of analysis futher in our article on relative preference analysis. 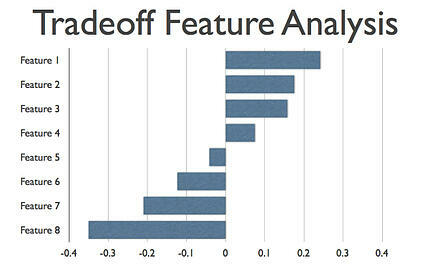 Main Takeaway: Force respondents to make decision when asking them about features. You'll then be able to align those features to each persona, which will force your pricing tiers to begin to emerge. Remember that it's ok to adjust your buyer persona assumptions after these types of exercises. In fact, that's encouraged! Once you've aligned your features (or found that you don't have any differentiable features), then you need to start thinking about a proper value metric. 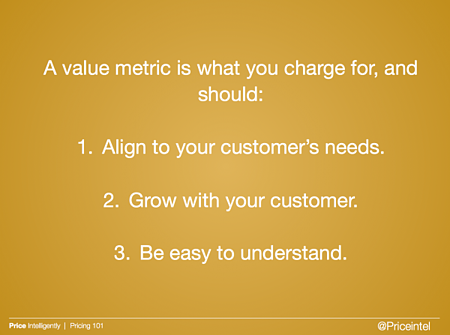 A value metric is essentially what you charge for (per user, per visit, etc. ), and it's quite literally one of the most, if not the most important aspect of your pricing strategy. Value metrics are so important, because they are the main driver of expansionary MRR, which is more MRR you receive from your existing user base. This leads to the almighty, holy grail of SaaS known as net-negative churn, meaning when you put a dollar into your SaaS machine you actually end up getting much more out. The big key is picking a metric that grows as the underlying company grows. The usual knee-jerk reaction is per users. While it certainly works in some instances, generally there are better alternatives. Lets take an imaginary SaaS platform that lists classifieds for boats. A simple metric is for them to charge per each boat listing. The idea being, small companies sell fewer boats and as the company grows they sell more, simple, right? Yet, think about someone selling multimillion dollar yachts vs someone selling small recreational fishing boats. Odds are fewer yachts are going to be sold, but they drive in a much higher revenue and profit. Another way to attack this problem is going back to your feature analysis to see which feature is valued most highly over all personas at all growth stages. This might be a hidden gem worth throttling to match pace with company growth. Be careful though, as you want to make sure you're not throttling an aspect of a product that's crucial for retention. Main Takeaway: Make sure you take your value metric seriously, because it may be what makes or breaks your SaaS monetization. 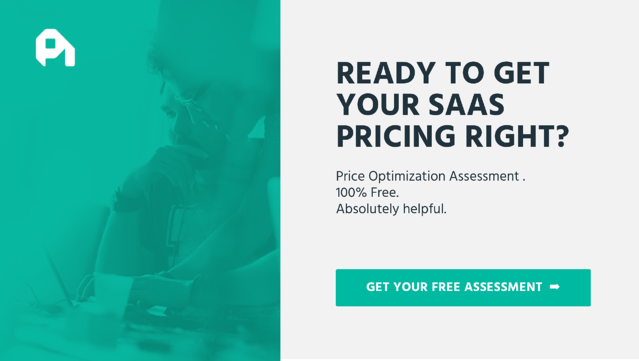 Make sure to check out this article on why per user SaaS pricing kills growth and this one that goes much more in depth on value metrics. Funny how we've gone through three pretty big steps and barely mentioned anything about the actual number on the page you'll be asking for from your prospect. This is because pricing encompasses so much more than the actual number. Yet, it's definitely an important part. Surprisingly though, determining the number you'll charge is pretty easy. You simply need to collect some data, similar to the type of data you collected in the feature value analysis. Price sensitivity data is actually much easier to collect though, because we simply take advantage of how people think about value. Human beings don't think about value as a single point. 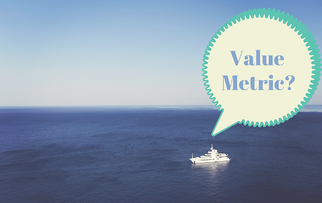 Instead, value is a spectrum where it's difficult for you to give someone a point blank answer when asked, "how much is this worth to you?" Yet, it's easy for you to know that your laptop is more expensive than your water bottle, which are both cheaper than a house. At what point is [your product] so expensive that you'd never consider purchasing it? At what point is [your product] getting expensive, but you'd still consider purchasing it? At what point is [your product] a really great deal? At what point is [your product] so cheap that you'd question the quality of it? Main Takeaway: Don't be afraid to chat with your customers or future customers about pricing, just make sure you're asking them correctly. Check out more on measuring price sensitivity here. We just threw a lot of information at you, and there's definitely some important points to go much deeper on. 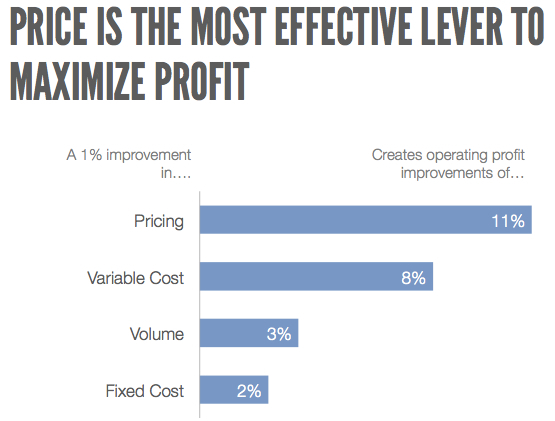 Yet, the most important idea to gather from this post is that pricing is a process. Pricing needs attention just like every other aspect of the marketing playbook, and even more so because the impact is so much greater than simply improving your volume.